I didn’t write the words to this song. The most that I can credit myself with is transcribing and setting them. They are taken from a notebook that my brother gave me which belonged to my uncle Terry Ball who died in 2011. The notebook had been found among his belongings when his house was being cleared. 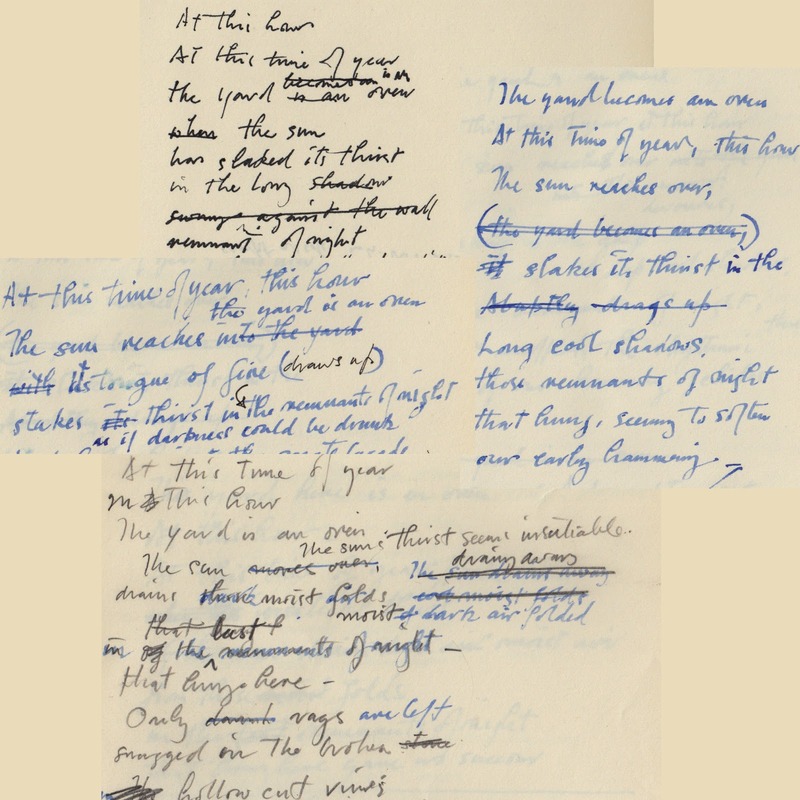 As well as being an accomplished painter Terry had written poetry for most of his life, and this notebook was clearly one that he used for his poetry notes. The address in the front of the book was his most recent, but the first page is headed with the words "Jerusalem June 1967". Reading through the notebook I was struck by the repetition of passages which appear to describe a very specific situation which Terry would have encountered daily when he worked as a stonemason in Jerusalem. The passages describe how the sun rises, floods the yard in which the stonemasons are working with light and heat, making it necessary for them to shield themselves; this is accompanied by descriptions of the way the shadows play on the architecture, and includes some complex metaphysical imagery involving the sun slaking its thirst on the shadows. Each iteration of the description takes a slightly different form of words to describe the situation, with crossings out, rewritten phrases, words in brackets, all things that might be expected of the compositional process of a writer trying to construct the right form of words. Except in this case the work continues through the notebook, sometimes with very small variation, sometimes with entirely new lines and images inserted. The image above is a small collage of samples of the written text. This form of text fascinated me. On the face of it Terry was perhaps simply trying to hone the poem until satisfied with it, but from the evidence of the notebook this point was never reached. Another reading might suggest that this continuous return to the description, and how to formulate it, reveals much about the working of memory: the text not only describes a situation that occurred some fifty or so years earlier, but that also the writing of it becomes the memory itself. Memory as thought without material expression, such as a text, is unreliable and fugitive, and so giving it such form implies constant revision. Perhaps the expression of memory and the writing of the place necessitates that it takes slightly different form at each iteration, precisely because of the unreliability of that memory, so what is being performed through such iterative writing is memory's mutability at each of its occurrences. I’m sure that Terry was thinking of Proust, of whom he had been a lifelong reader, and I was reminded of the writing of Francis Ponge and his attempts at the description of objects which consist of numerous repetitions and revision, all of which become component parts of the finished written work. Much of my own work has been engaged in the transcription and rearticulating of extant text, such as the television and radio broadcast material which forms the lyrics on the Life of Barrymore collection of songs, or my spoken word pieces in the Speakers and Speakers Too projects. Part of the methodology has been to perform this work in as straightforward a fashion as possible, remaining faithful to the original text, resisting an approach which might over-determine my relationship to the text by injecting any sense of irony, or implicit critique. Of course, this presents something of a paradox as it inevitably will be filtered through the ‘grain’ of my voice, and it is the turn of that paradox which keeps the practice vital for me, the question of what this work thinks it is doing. I think that it’s somewhat different to the approach of conceptual writers like Kenneth Goldsmith who presents his use of any text whatsoever as a kind of radical attempt to destabilise received notions of the status or value of one text in relation to any other. My project doesn’t aim at any such totalising destabilisation, I can’t think of it in such (self-) important terms, I’m not on a mission to reinvent the terms of literature, or song writing. If anything, it’s a concern to attend to the the specific, the situated in the text, that by transforming it into song form, for example, the mode of attention to the form of the text itself, and the possibilities of the language of song, might become reconsidered and expanded, as an experimental practice. Of course, Terry’s text was already written as poetry, as descriptive, ‘imagist’, and so making a song of it might not have the same disjunctive kind of effect as using other forms of text. The challenge to the song form, in this case, comes from the lack of consistency of scansion, meter, and rhythm, elements which usually commend poetry to song. I had already decided to follow my usual practice of transcribing the text verbatim, and in keeping with most of my own lyrics the poetry didn’t follow a rhyme scheme. But the result of the use and reuse of similar words and phrases being modified, extended, rearranged, at each iteration, is that each ‘verse’, as they might be considered, varies in form to greater or lesser degree. After the event of transcribing each of the fragments, the song had 39 distinct verses. I set the song to two guitar drones made from loops of layered continuous sustained chords, with a rhythm mimicking the ‘hammering of chisels’ described in the text. The 39 verses were recorded, sung in one take, I had to improvise variations of the melody to accommodate the varying lengths and meter of the lines, and later in mixing ride the levels and play the synth bass line to fit the variations in the verses as sung, so effectively, and perversely, the backing track follows the singing. Ultimately, I can never know what my uncle’s intentions were for this writing, if indeed he had any. It is clearly something that had occupied him for some time, and it seems to me that, from the evidence of the trouble he went to troubling over the lines, a simple poem would never have sufficed to encompass the senses of the situation that he was attempting to write. The materiality of that place and the experience of the working there cutting stone would perhaps be best embodied within the repetition, alteration, reiteration of the description as it recurs and changes through pages of the notebook, and the best way to do justice to this, to pay tribute to him as a person who had a profound and early influence on me as an artist, is to perform it in this way. I think he would have understood. "The missing link between reductionist improv and the intimate breathy song cycles of a Robert Wyatt." I don't want to write too much about the content of the lyric because I think it is self-evidently a reflexive song meditating on its own existential condition. The song speaks of itself, it asks where it will go, and then sets out a number of ideas, with a little semantic play around the materiality of a song, this song. It is, in one sense, the epitome of a 'subsong', in the sense that it is a song yet to reach complete form, it is yet to exist as a song. Of course this is an ironic conceit as it is, by the fact of being written, set to music and sung, already a song, has already become a song. So this is, by extension, an ironic conceit that underlies all of the songs on the album, if you take the title literally and consider it to be a collection of 'subsongs'. I included some 'field recordings' in this version, in particular a recording of a cellist playing on the riverside footpath under the south side of Blackfriars Bridge in London. By chance the cello melody is in the same key as my song and therefore provided a found cello solo. I had intended to include more such 'found' recordings on the album, and spent some time recording musicians playing in public, or publicly audible, on my phone or a Zoom recorder secreted under my jacket. In the end I only used one other recording, on 'Garage/Band', which we will get to later. 'Off Off On' is one of two songs on the album which harks back to Super 8 films I made in the 1990s in Australia. The other song is 'Periscopic', which I will come to eventually. 'Off Off On' takes its title and refrain from a film of the same title I made in 1992, embedded above for reference. The main text of the lyric, however, comes from another film made in 1995, 'Difficult Beauty'. The phrase "off off on", came from an Aboriginal man I saw on a bus in Melbourne. He was sitting on the back seat flicking the side of his face and repeating the words "off" and "on", over and over. He was clearly disturbed by something which I couldn't see, or probably know, but this performance of his disturbance seemed significant of something to me. It's impossible to think of the disturbance of the individual without thinking of it against the background of societal, cultural, and political contexts, and in the case of indigenous Australians the context is all too clear: a couple of centuries of abuse of indigenous people at the hands of colonialism. Whether this is being directly played out in the mental health and behaviour of any one individual must remain a moot point, and not to dismiss or diminish the distress of the individual, but to shift emphasis from the neoliberal tendency to individuate, is to acknowledge the culpability of the historical colonial context. The film's voice-over text placed this man's words alongside lines appropriated in part from Paul Virilio's Aesthetics of Disappearance, a dromological analysis of what it feels like to live in the society of speed. In the case of the film, this involves a retreat to a kind of hermetic claustrophobic perceptual state. The text from 'Difficult Beauty', in retrospect, seems quite compatible with the idea of the mental state of the individual being determined by society. Part of the soundtrack was a text which I'd given to three people to record themselves performing; it is this text which forms the basis for the lyric, the extract below illustrates its original form, the instructions to the performers was simply to perform it as they saw fit. when . why what . . It would be easy, and perhaps accurate, to describe it as a text playing with words attempting, but failing, to describe a situation, text as symptomatic if you like. Returning to this text twenty-one years later, it seemed to me that socio-political conditions have accelerated to a point where the performance of inarticulate absurdity could become a perversely reasonable response to the world: the text still resonates. I fine-tuned its shape, added words like 'chaos' and 'form', 'truth' and 'justice', notions that seem to have become even more pressing and precarious. I also played with the alliteration of 'w' words like 'warp', 'woof', 'weft', and 'weave'. All of this performed in deadpan expressionless speech. The weaving wayward baselines were added late on in its recording. 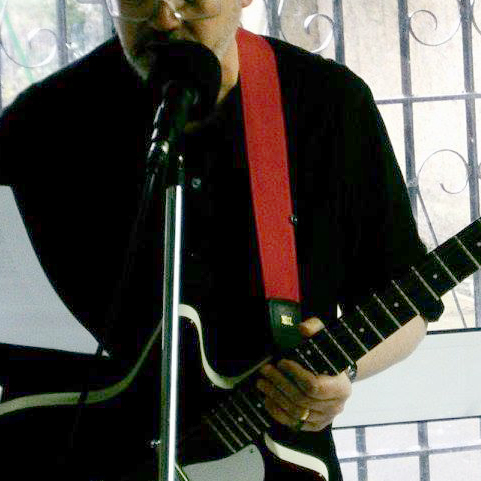 This was one of the earliest songs written for the album and it went through a number of iterations and instrumentations, at the end of this post is a link to an alternative version performed accompanied only by 12 string electric guitar. I had rejected ‘Inside', and one other song, from my first cut of the album. When I played the Linear Obsessional gig at the ArtsCafé in Manor Park a few weeks before the release of the CD, I had resolved, perhaps perversely, not to play any songs that were on the album, except for those that I had rejected. However one person in particular was so complimentary about this song, and about ‘Subsongs’, ostensibly the album’s then missing title track, that the next day I decided to include both. So my decision not to play songs from the album was undermined after the fact. What’s more I then decided that this song should open the album. I liked the idea of something so slow, and downbeat, employing such an economic use of words, unfolding gradually, offering such a singular introduction, quite different from what would follow. I was intending to write something about the idea of the experience of interiority, subjectivity, not a disembodied consciousness, but reflecting on its embodied nature; the brain as an organ, fleshy, bloody, very much a corporeal thing, the locus of the experience of subjectivity, and therefore the experience of the personal and individual consciousness. 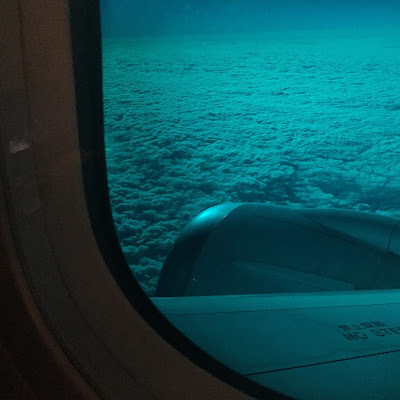 I imagined this as something like a sense of waking unconsciousness, something like the subjective isolation and suspended animation of being on a long-haul plane flight, with lingering jet lag. In fact the sound at the end of the song is indeed the sound of the low rumble and hiss of the interior of a passenger jet, recorded somewhere over the Himalayas, en route from Australia. I had recorded the music track as a long looped sequence of dubby reverb and echoey bass, with occasional chiming 12-string guitar diminished chords. The words were not originally intended to be the final lyrics, they were simply a set of keywords used as conceptual place-markers, and my singing them into something of a melody was the first take recording. I did try writing and recording other, more complex, associative, suggestive, poetic lyrics, but kept returning to this original first semi ad-libbed version. I’m not usually given to the ‘first thought, best thought’ school of thought, but in this case the simple keywords seemed to be all that was necessary, and now I cannot think of the song taking any other form.